It might be helpful to think of Carlos Condit's main event fight against Demian Maia on Saturday's UFC on Fox 21 as the welterweight division drawing a line in the sand. On one side of that line are the elite fighters at 170 pounds—Condit and Maia included, along with new champ Tyron Woodley, top contender Stephen Thompson and former champ Robbie Lawler. On the other side are the competitors who have either fallen out of contention, have not yet ascended to such lofty heights or never will. As of a few days ago, former title challenger Rory MacDonald would've been included among the first group, but FloCombat's recent report of his defection to Bellator MMA casts an even sharper focus on the curious welterweight landscape. This division is talent-rich and on the rise, though perhaps never before in UFC history has there been such an obvious divide between the haves and have-nots at 170 pounds. It's a cozy little group of VIPs right now with Woodley, Lawler, Thompson, Condit and Maia, but after that, the drop-off in prestige is steep. Case in point: MacDonald's departure opened the door for Kelvin Gastelum to slide into the Top Five of the UFC's official rankings, where champions are not technically considered part of the Top 10. Gastelum is a good fighter and a nice prospect at 24 years old, but nobody considers him on the same level as the rest of that group. He's 2-2 in his last four fights and has been plagued by trouble making the welterweight limit for much of his career. Even if he has those issues sorted out now, it'll be a while before he's up to fighting for the title or—gasp—headlining a UFC pay-per-view. Behind Gastelum is former champ Johny Hendricks at No. 6. Hendricks has gone 1-3 since defeating Lawler for the title at UFC 171, and these days his fighting career is in complete survival mode. He doesn't top too many lists of guys who appear on the verge of a rebound. Behind Hendricks is No. 7 Donald Cerrone—an interesting case if there ever was one. Cerrone has won three straight at 170 pounds but followed his most recent victory over Rick Story at UFC 202 with a call-out of current lightweight champ Eddie Alvarez. We all know Cerrone will fight at any weight where he can earn a paycheck, but he may have tipped his hand that he doesn't consider his long-term future to be at welter. Following up those guys on the official rankings is a gaggle of fighters—think the Neil Magnys, Lorenz Larkins and Tarec Saffiedines of the world—who are either coming or going. It's a no-man's land where people are either still in pursuit of their full potential or playing out the string. So what's all that mean? What's at stake when Condit and Maia meet up this weekend? Well, the gulf between the welterweight elite and their closest competitors ensures the winner of this fight the pole position to challenge the victor of Woodley's first title defense. 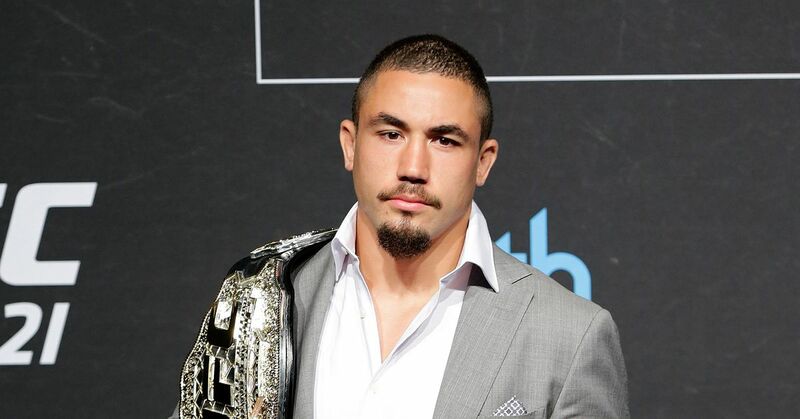 That bout could come against Thompson or, as an MMA Fighting report suggested, even a returning Georges St-Pierre. On the other hand, the loser might be cast out of the club entirely. He could find himself banished across the moat to live with the have-nots until such time that he can fight his way back to the promised land. For 38-year-old Maia and a guy such as Condit, who has already talked openly of retirement, that makes the stakes dire. This might be the last best chance for both guys to earn one more crack at UFC gold. On this topic, Maia has been explicit. "This is for a title shot—the ticket for a title shot," he told Bleacher Report's Scott Harris this week. Condit has been slightly less emphatic, though perhaps because he already fought for the title once this year. Immediately after his split-decision loss to Lawler was announced at UFC 195, it sounded as though he might hang up his gloves. "Tonight was kind of a do-or-die moment for my career and I was all in," Condit said. "If I got that strap, I was going to keep fighting. If I didn't, like I didn't, I have to see if I can continue to do this." The idea of an immediate rematch got kicked around, but eight months later, we find Condit still willing to make that walk to the cage—and for an important contender bout against Maia instead of a title fight. Maia has been surging since recommitting to primarily Brazilian jiu-jitsu-based game plans during the last couple of years. He's riding a five-fight win-streak while proving he's that rare modern MMA fighter who can defeat top-level opponents with a one-dimensional approach. Condit, however, could test that status in ways that previous opponents such as Matt Brown, Gunnar Nelson and Magny have not. The former WEC welterweight champion has earned his reputation as one of the sport's most exciting and well-rounded fighters. It would be wise for Condit to try to avoid going to the ground with Maia, but if the lanky striker can manage it, he'll have a pronounced advantage in the stand-up. Oddsmakers like his chances, though just barely. Condit is going off as a slight favorite in this bout, according to Odds Shark. Maia will have his opportunity over the course of a five-round fight, but if Condit can control the distance and tempo, he has a good shot to emerge victorious. The winner will remain on the right side of the welterweight divide. The loser, however, could face a bleak future. He might end up going from elite fighter to steppingstone for the very people who want to take his spot. Because while the gulf between the welterweight haves and have-nots may be wide, the fall from one level to the next could be quick and treacherous.